Zee Tamil is all set to unveil a star studded chat show with the bold and the beautiful Kushboo! This fun and zest show gives viewers access to their favourite stars up, close and personal. Kushboo is more popular for her TV shows rather than her soaps on the small screen. The Jackpot show, which was aired on Jaya TV a few years back, not only garnered huge TRP but also gave Kusbhoo a larger-than-life image. The beautiful actress-turned-politician is all set with yet another talk show Simply Kushboo, which will focus on celebrities. The show promises the viewers the journey, hidden talents, some secrets and impromptu acting, singing and dancing skills of their favourite celebrities every week. Kushboo has worked with most Superstars across India and is one actor who has a strong bonding with the young stars of Kollywood as well. She is to have some of the yesteryear biggies and her best friends from Kollywood share the stage with her in this bubbly chat show. Kushboo with her stylish, fun and intelligent personality will make the celebrities relive their times and get the viewers to peek into their life as never seen before. Shot on lavish sets, the vivacious Kushboo will make the celebs share their unforgettable moments and personal life experiences in this charming chat show. In short, this is an entertaining, fun, beautiful and intelligent chat show which perfectly complements the effervescent host Kushboo. Speaking about the show, NS Easwaran, Business Head Zee Tamil said “Zee Tamil brings to viewers yet another enthralling chat show ‘Simply Kushboo’. The Tamilnadu audience has a huge craze for their film celebrities and worship them like gods/goddesses and Zee Tamil is set to give them an opportunity to get closer to their stars. 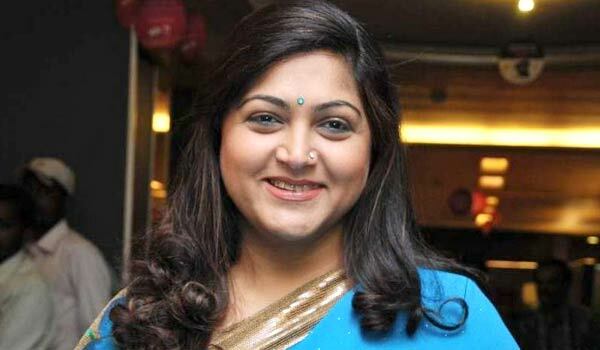 Kushboo, with her personal rapport with almost every co-actor will bring out the most intricate details of every star who walks into the show week on week. She said that there are so many shows on various channels, and it was quite challenging to ensure that Simply Kushboo is unique and special. To start with, Kamal Haasan, Tamannah, Jayam Ravi and Anjali, Sivakarthikeyan among others have been roped in for the initial episodes of the show, to be aired on Zee Tamil. With this show, Zee Tamil will redefine the way chat shows are presented on television” Brace yourselves to get simply closer to Kushboo and thereby to your favourite stars Only on Zee Tamil from August 22nd Onwards, Every Saturday at 8pm.